Are you a new home buyer looking to get yourself in the market? Thinking that you are ready to take that dive into a new commitment? Well, if you are, then we are here to tell you the things that you shouldn’t be doing! You’ve heard the phase ‘location, location, location’ so many times before. Now you know why it is so important. Too many first time buyers just buy a property that doesn’t fit their lifestyle choices or becomes a problem down the line in terms of finance. You have to think about the location as logical as possible to ensure that you get the best you want. If you don’t, you could find yourselves investing in a place that you’re struck with for a few decades. You may find a particular real estate agent that gives you a much lower price quote than the others. While you may be tempted to jump at the savings, you could be making a big mistake in doing so. Those costs are generally saved by cutting corners and using inferior building materials, both of which you want to avoid. In a bid to get into the market, many buyers find themselves with a property they don’t want because they’ve rushed into purchasing a property for the sake of it. This is a big decision, one that is going to have an effect on your life, your finances and your lifestyle for decades. So never rush into buying a new place. When it comes to buying an already built home, buyers just tend to purchase it without focusing on the history of the property, such as the nature of the builders. 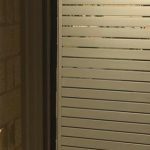 You should always check to see if the builders in Dandenong or anywhere in Melbourne are of the highest quality and worth the money. 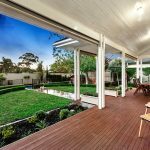 Understanding the history or the record of Melbourne or Cranbourne’s leading builders, will give you an indication if the property you purchase is worth the value or not. Whether you are looking to buy a new property or invest in an old one, one big killer of so many first time home buyers is their lack of financial planning. Costs can quickly add up and you might find yourself in debt quicker than you can imagine. And with everything else on your shoulders, why have the struggle of paying off your home? Plan out the finances of your first home carefully, so you’re not stuck in debt.